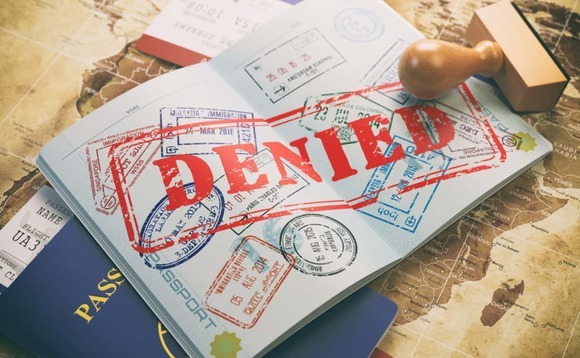 As the Caribbean seeks to tackle its golden visa schemes after accusations of widespread fraud and corruption, citizens from the UAE are worried that their application for the highly sought passport might be denied and investment lost. Caribbean passports have always been extremely popular in the Middle East as they offer visa-free travel to over 130 countries. However, hundreds of UAE citizens that have applied for a passport from a Caribbean jurisdiction might have to wait indefinitely as these programmes have been plagued by a massive scandal with Caribbean media reports suggesting that many immigration firms — including some in the UAE — circumvented legal requirements or forged government documents to process citizenship applications, depriving government exchequers of valuable foreign currency. The St Kitts and Nevis citizenship by investment (CBI) programme has been under fire with accusations of fraud and abuse by citizenship agents and local developers. The island's government is now taking steps to strengthen the legislation governing the operation of real estate escrow accounts. "Some 2,000 applications are received annually for St Kitts-Nevis citizenship, 2,500 for Dominica and around 500 each for Saint Lucia and Grenada. All applications processed under these CBI schemes over the past four years are under the scanner. Those that didn't follow the process may be cancelled and the applicants could lose their investments or have their citizenships revoked"
An escrow, under the CBI programme, is a short-lived trust arrangement, which is the main mechanism for the consummation of real property sales. An escrow agent is a third party responsible for oversight of the monies, whilst the buying and selling process is being undertaken. A Dubai-based law firm specialising in economic citizenship said the fallout of the racket could jeopardise hundreds of applicants. Sam Bayat, CEO of Bayat Group, said agents were abusing CBI schemes by offering citizenships at way below government sanctioned rates through real estate trickery. "Some 2,000 applications are received annually for St Kitts-Nevis citizenship, 2,500 for Dominica and around 500 each for Saint Lucia and Grenada. All applications processed under these CBI schemes over the past four years are under the scanner. Those that didn't follow the process may be cancelled and the applicants could lose their investments or have their citizenships revoked," Bayat told local news outlet GulfNews. St Kitts and Nevis Prime Minister Timothy Harris and CEO of the Citizenship by Investment Unit (CIU) Les Khan went to Dubai to ease investors, as they gave assurances on the the integrity of the country's citizenship by investment programme. "The CIU processes applications which on the face of the documentary evidence submitted to it had only the authorized amounts. There has been not one case that has come to [Khan] and his unit that the amounts that are indicated on the purchase and sales agreement were not authorized," Harris said. "In relation to private party transactions, that is a matter in which [Khan] is not a party to and is not privy to and when evidence surfaces he will do as he has done in the past, the necessary investigations to determine where there is any truth and the appropriate action would be taken. In fact, the CIU, where such cases have been brought, has already delisted a number of agents from participating in our programme," he added. Local media reports in St Kitts-Nevis said the economic citizenship abuse is estimated to have cost St Kitts-Nevis between $30 million and $130m. Similar allegations of fraud have been reported by some other Caribbean islands. In March, 2018, twin-island federation introduced the Sustainable Growth Fund (SGF) as the quicker and safer route to its citizenship. According to the government website, the new channel asks main applicants for a minimum $150,000 contribution to the SGF, in their bid to become St Kitts and Nevis' economic citizens.